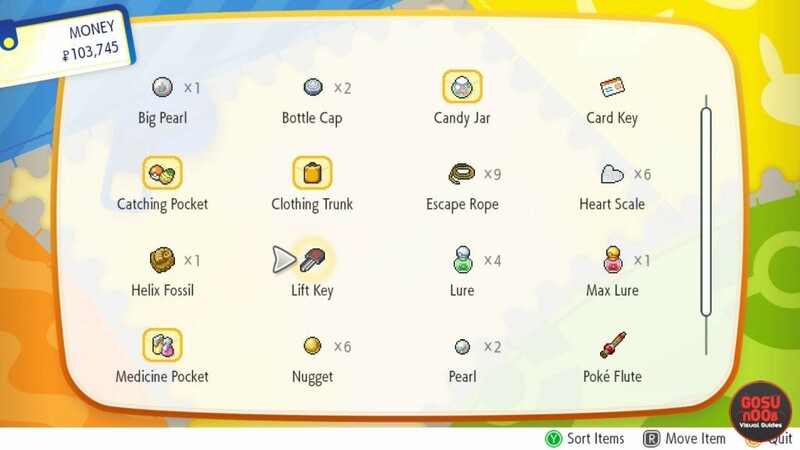 Elevator Key in Team Rocket Hideout in Pokemon Let’s Go is an item necessary to reach the final room of the area. After you run into the locked elevator, your progress to Team Rocket will be completely halted. So, the question becomes: where to find the elevator key in the Team Rocket Hideout? How do I get the lift key? Well, luckily for you, our Pokemon Let’s Go Pikachu & Eevee Elevator Key in Team Rocket Hideout guide is going to answer those questions. Plus, we’ll show you how to solve the floor puzzle, and more. Where to Find Team Rocket Hideout Elevator Key Location in Pokemon Let’s Go? To find the elevator key in the Team Rocket Hideout, you’ll have to go down into the basement. From the elevator that needs the key, go back through the floor arrow puzzle and to the upper right corner, near the stairs leading up, and take the staircase leading down. In the next room, you’ll come across another floor puzzle. Like the previous one, this maze isn’t that hard to solve. Basically, what you want to do is keep to the left and going down. Check the image above for more detailed instructions. Once you make it to the end, head down the stairs once again. You are now finally in the basement. Team Rocket Hideout Elevator Key – How to Get? To get the Team Rocket elevator key in Pokemon Let’s Go, talk to the Team Rocket member patrolling the basement. You’ll find out that he has the elevator key. You’ll have to battle him, and, after you win, he’ll fling the key way above you. Sore loser. This is nothing to worry about, though. Go back to the desk in the upper left corner, and move the blue chair to the right and under the vent. Step on the chair, and hoist your Pokemon into the vent. Lead it to the key to collect it, and back to you. Now, all you have to do is make your way back to the elevator, and get ready to fight Team Rocket. And, that’ll about do it for our guide on how to get Team Rocket elevator key in Pokemon Let’s Go. If something else is bothering you, take a gander at our other Pokemon Let’s Go guides, including How to Get Shiny Pokemon – Chain Combo, Eevee Location in Pikachu Edition, and How to Get Sea Skim Secret Technique. I cant get pikachu to jump off the vent after getting the key. I’ve tried every button but nothing works I just says jump with all your might and I’m stuck there. Please help. Try standing in front of your character and pressing A or if your using Pokeball +, press down the joystick. Thats what I did it worked fine. And I cannot seem to get my Eevee to get back in the vent. how do i move the chair? You have to click on the air vent first and then go to the chair. Ok I have gotten the key already but nobody has a walk through on how to get to the elevator that I apparently need this key for…. I can’t get to the elevator itself.